Square shaped and with the iconic T-temples, these Tom Ford sunglasses are a celebrity favorite. Most of them opt for the black version, but they also come in brown and havana. Wear them with a swimsuit like Reese Witherspoon, or pair them with a floral dress and a light sweater on top. 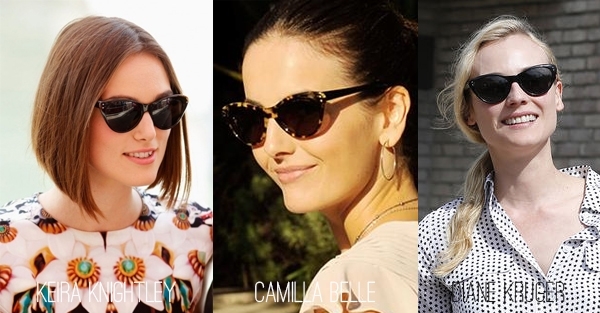 Cat eye shaped sunglasses are all the rage with celebrities – and who could blame them? They’re flattering and they have this cute retro feel. In black or havana, many actresses chose these Ralph Lauren shades. They look great with a printed button-down and a pair of shorts or a mini skirt. Available in orange, purple, navy and tortoise, these Tory Burch sunglasses have been spotted on some of our favorite TV ladies, and they’re gonna be huge this summer! Pair them with a dress in a primary color and throw on your favorite jacket for cooler nights. Who doesn’t love a good pair of cat eye sunglasses? This Versace style is chic and easy to wear, whether in black, havana, red, brown or white. We love how they look with nautical stripes and jeans, in Anne Hathaway’s style. Another classic number that celebrities can’t get enough of! The aviator style is flattering on most faces, and it brings about a special allure that both men and women love in their wardrobes. We like them with a white t-shirt and a blazer on top, for both sexes. We’ve rarely seen Miranda Kerr in something other than her Prada sunglasses this year! She started a trend, and soon other celebrities followed. The simple, cat eye shaped sunglasses come in various shades of havana, as well as in full colors. Wear them with skinny jeans and pearls, or take them to the beach, like Milla Jovovich did. Hollywood ladies love these simple, oversized sunglasses by Dolce&Gabbana. Whether in soft pink, cherry brown, animal print or plain black, these cat eye shades made of matte plastic are a hit. They look pretty with a simple dress and ballet flats. The classic keyhole shape of these Persol sunglasses makes them desirable by men and women alike, providing a sharp look for the wearer. They come in a range of neutral colors, from black to light havana. They look cool with denim or camouflage print. 2. Tom Ford Nikita Sunglasses, $232. The exaggerated cat eye shape of the Nikita sunglasses make them a true fashion statement. 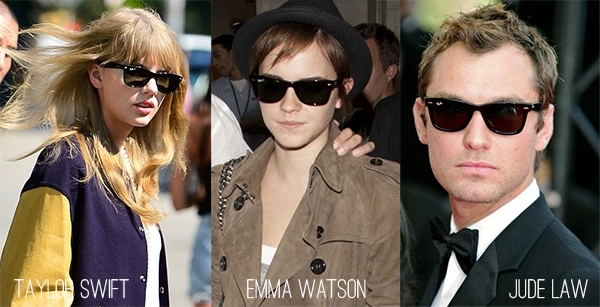 Available in black, cream or havana, these shades were worn by everyone from Cate Blanchett to Paris Hilton. Try them with a vintage-inspired look to really show them off. 1. Ray Ban Wayfarer Sunglasses, $109. This retro style is still going strong as the hottest celebrity sunglasses of the moment. Being square shaped and unisex, they’re flattering on all face types, and men and women enjoy them alike. 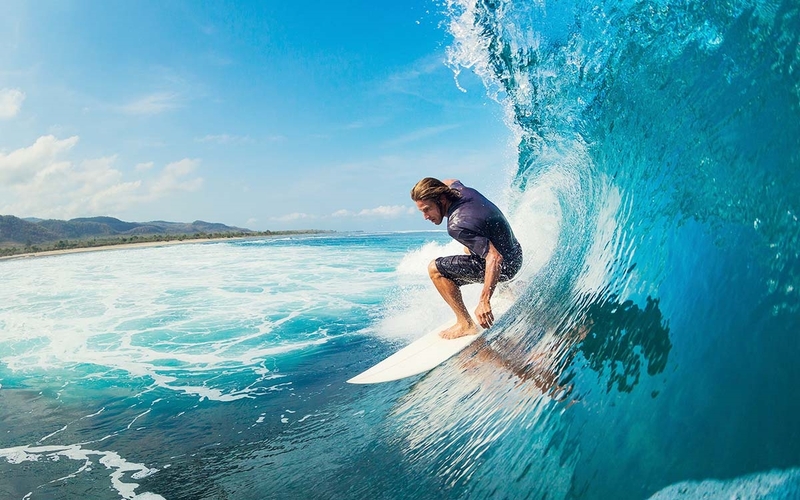 If you ask us, you can’t go wrong with investing in Ray Ban Wayfarer sunglasses – they’re here to stay! From a tuxedo to a varsity jacket, there’s no combination that these shades would fail in.